Rules restricting the government’s use of the Whitehall publicity machine during an election or referendum are known as the ‘purdah’ rules. They are intended to prevent the government from making announcements or publishing good news stories which might influence the outcome. The government had originally argued that there should be no restrictions on the way that ministers could campaign in the run-up to the EU referendum. 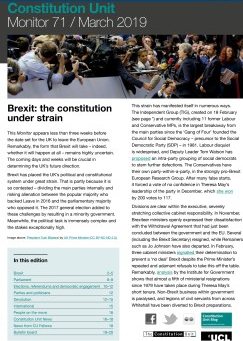 But following criticism from Bernard Jenkin MP and other Eurosceptic backbenchers, the government modified its position and accepted that purdah should be in place, but with an exemption that would allow ministers ‘to communicate a position on the referendum in restrained and moderate terms’. This concession failed to quell a rebellion by 37 Conservative MPs, and on 7 September the government suffered its first defeat in the House of Commons, losing a vote on the purdah rules by 312 to 285. 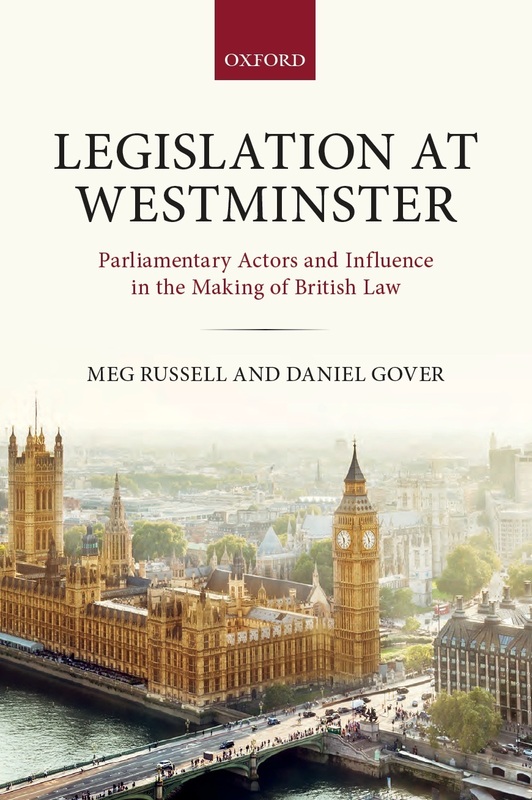 The rebels argued that anything but the strict application of purdah rules meant that the referendum result would be ‘rigged’ and ‘invalid’, whilst the government maintained that strict purdah could make government dealings with the EU ‘impossible’. Ministers needed to continue to give an account of their day-to-day business with the EU, and also to explain the outcome of the government’s membership renegotiations to the British public. 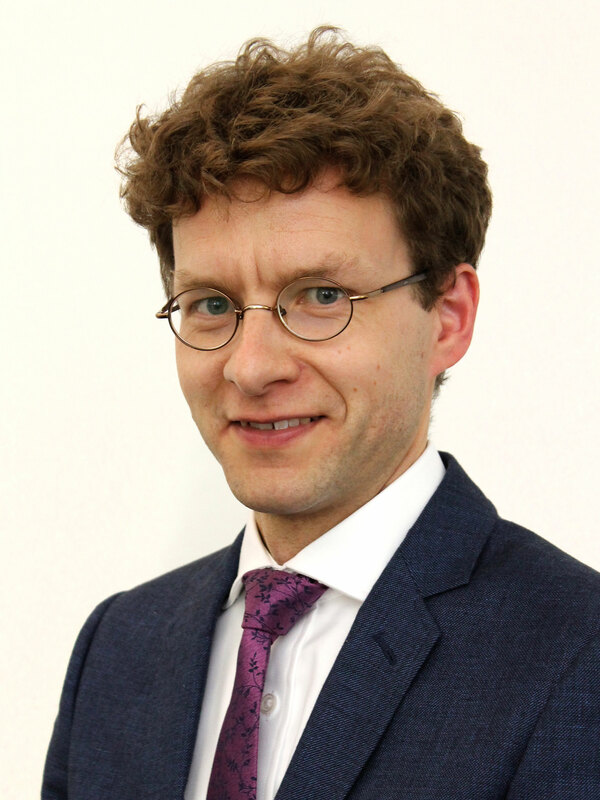 Foreign Office lawyers were concerned at the risk of judicial review if the purdah rules were not relaxed, as any official statements made by ministers relating to the EU could be construed as potentially in breach of purdah. This skirmishing about the campaign rules will seem strange to outside observers. Professor Sara Hobolt has commented that strict purdah rules are less commonly applied in EU referendums in other European countries. In Irish referendums on the EU, ministers have not been prohibited from presenting their case in the run-up to the vote. In Denmark, the conclusion of similar debates has been that purdah restrictions should not apply in referendums. 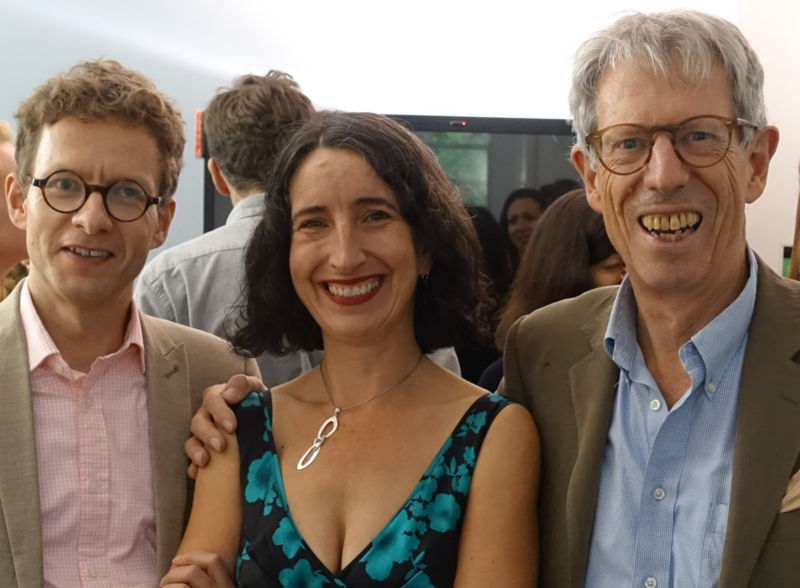 Professor Hobolt’s full commentary can be read here. The Bill as originally presented to the House of Commons in May said simply that the referendum must be held ‘no later than 31 December 2017’. The Bill now undergoing scrutiny in the Lords contains two additions. First, the referendum cannot be held on the same day as the elections to devolved assemblies, local councils, and other bodies in May of either 2016 or 2017. Second, certain regulations must be finalised at least four months before the referendum date, making it difficult to call a snap poll. Most referendums in the UK have in fact been held away from other elections. The major exception is the alternative vote referendum, held on 5 May 2011. Otherwise, however, only the London mayoral referendum of 1998 and some local polls have been held concurrently with other votes. If the bar on the two May polling days in the EU Referendum Bill helps to consolidate a norm that referendums will always be held in isolation that will be a positive step. The Electoral Commission has long rightly argued (most recently here) that referendums and elections should not be held concurrently on the basis that separate dates are needed to ensure the issues in each receive a fair hearing. While holding multiple votes simultaneously may boost turnout, it also reduces the depth of thought underlying these votes. Similarly, the Commission has recently reiterated its view that the regulations governing a referendum should be in place at least six months before the vote in order to allow all sides to participate equally. The four-month clause marks a valuable step towards that. The responses offered to voters would be not ‘Yes’ or ‘No’, but ‘Remain a member of the European Union’ or ‘Leave the European Union’. 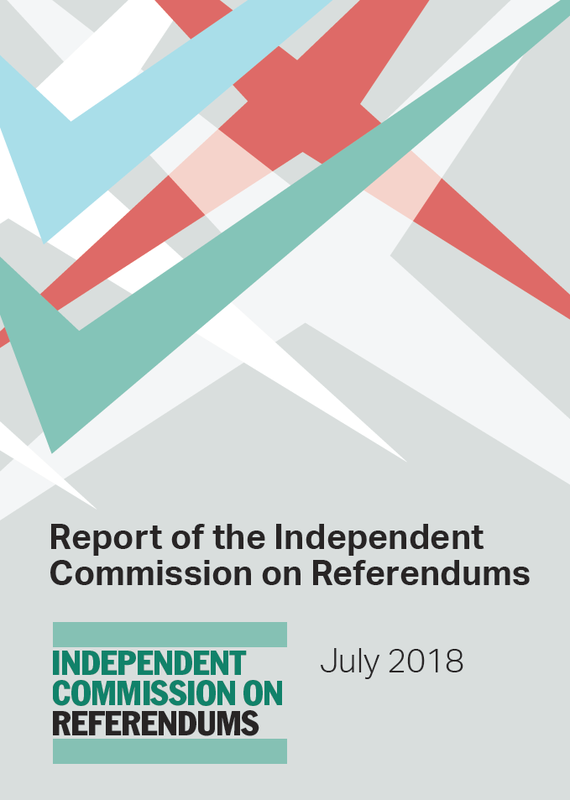 The government accepted this recommendation, and was right to do so: the Electoral Commission’s position as an independent adviser should be respected; it would be undesirable if referendum questions became subject to political interference. Nevertheless, it is appropriate to ask whether the recommendation was the right one and whether the process that produced it could be improved on future occasions. Firstly, there is nothing in the Commission’s reasoning that strongly suggests its rejection of a ‘Yes/No’ question is particular to this referendum. The logic seems to be that such a question is inherently biased: it mentions only one of the options, and it gives the ‘Yes’ side a positive sheen (paragraph 5.13). 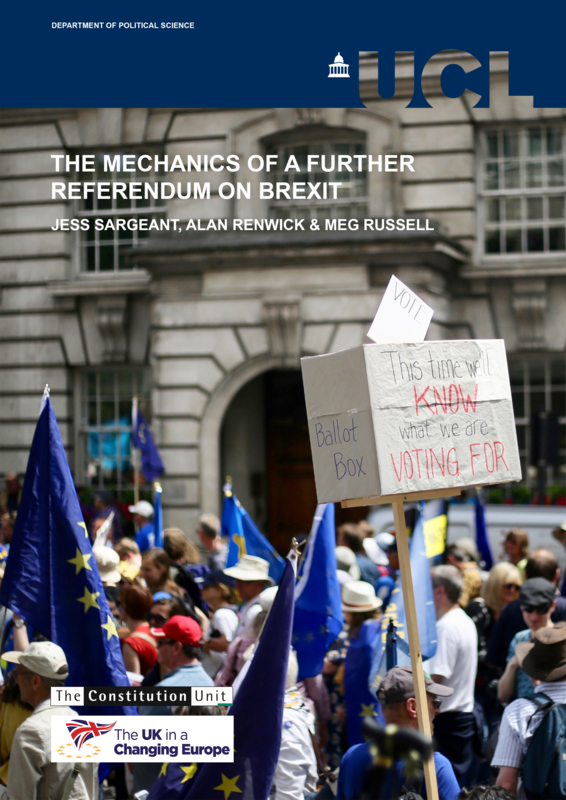 The report hints that the worries expressed about question bias by focus group participants could have been prompted by the presence of the word ‘remain’, which implies a direction of travel. Such worries were not expressed during the assessment of the Scottish referendum question – ‘Should Scotland be an independent country?’ – which contained no such directional verb. However, this difference is not drawn out explicitly in the report. The expectation that is likely to emerge is that the UK is moving away from ‘Yes/No’ referendums. But that would mark a significant departure from established practice. Of 264 referendums that have taken place in independent democratic states since 1990, only six have not employed a ‘Yes/No’ question. To find a referendum in the UK that did not use a ‘Yes/No’ question or a close equivalent, we have to go back to the country’s very first non-local referendum: the Northern Ireland border poll of 1973. Such a deviation from the norm should not be taken lightly. Secondly, we should ask whether the revised question is really so unbiased. Certainly, it appears not to push the voter in the polling station in any particular direction. But it may have a less balanced effect on the dynamics of the campaign. ‘Leave’ can plausibly form part of a campaign slogan for ‘Brexit’: indeed, two anti-EU campaign organizations have emerged over the last few weeks, called Leave.eu and Vote Leave. ‘Remain’, by contrast, offers a less helpful starting point: the new pro-EU campaign group is cumbersomely called Britain Stronger in Europe. The difference may seem small, but such apparent details always have the potential in referendum campaigns to trigger unpredictable bandwagons. It thus appears that UKIP ran an effective lobbying effort. Pro-EU campaigners, however, did not: Labour made no official submission, and it seems that the opportunity to challenge the revised wording was simply not taken up. If UKIP have successfully stolen a march on their rivals, it is those who favour continued UK membership of the EU who are primarily to blame. It is true that Labour and the Liberal Democrats were preoccupied by their leadership elections over the summer, while pro-EU Conservatives were stung by accusations of trying to rig the vote. Nevertheless, the Europhiles’ failure to respond has the potential to do them great long-term harm. There are also questions for the Electoral Commission to consider. The Commission is scrupulous about maintaining its impartiality. When faced with a situation where one side argues a proposed question is biased and the other fails to offer any counter-argument, it may be difficult for the Commission not to accept the balance of the case as presented. On the other hand, if it is evident that one side of the debate has got its act together while the other has not, it might be appropriate to employ additional investigatory tools. In this case, for example, consulting experts on campaigning or marketing might have provided additional insights. This entry was posted in Elections and referendums, Europe and tagged Alan Renwick, Electoral Commission, EU referendum, leave, purdah, referendum question, referendums, remain, robert hazell. Bookmark the permalink.